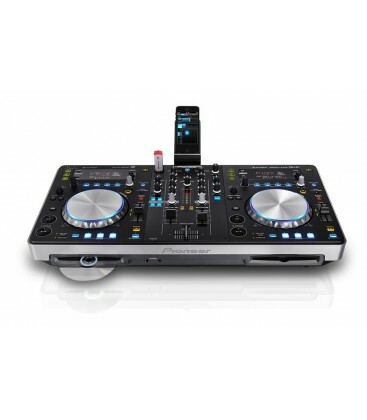 Our XDJ-R1 complete DJ system is the all-in-one dream: the union of CD/USB decks, DJ software control, a top-flight mixer, powerful performance features and – in an industry first – intuitive remote control via iPad, iPhone and iPod touch. 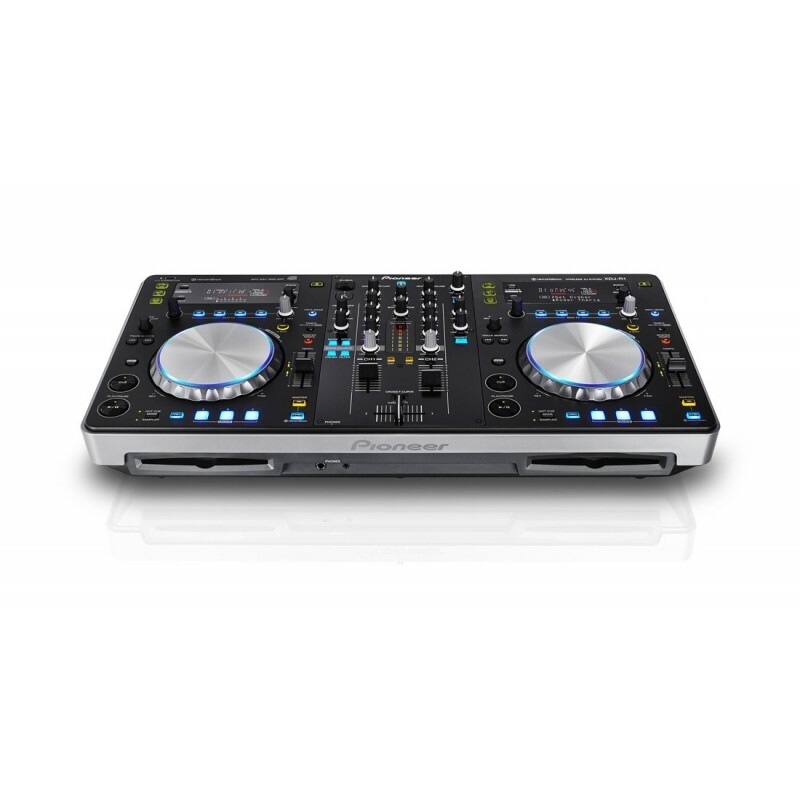 The perfect package for DJs who demand flexibility without the fuss, the self-contained XDJ-R1 enables instant switching between multiple sources: twin CD, USB and MIDI. 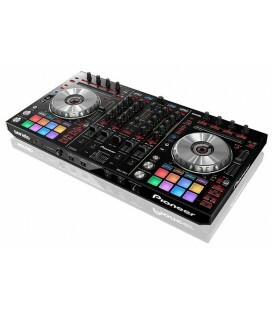 DJs can analyse tracks in the included rekordbox DJ software and load via USB media to access a host of exciting features including Beat Sync and Quantized Beat FX. 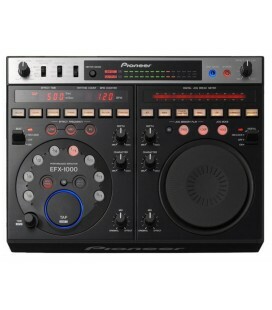 Or they can choose MIDI to control any DJ software, such as the included VirtualDJ LE. The XDJ-R1’s tactile controls deliver limitless possibilities for live performance: packing in two touch-sensitive jog wheels for precision scratching, a two-channel mixer, and dedicated buttons for loops, Hot Cues, samples and studio-quality sound colour effects. 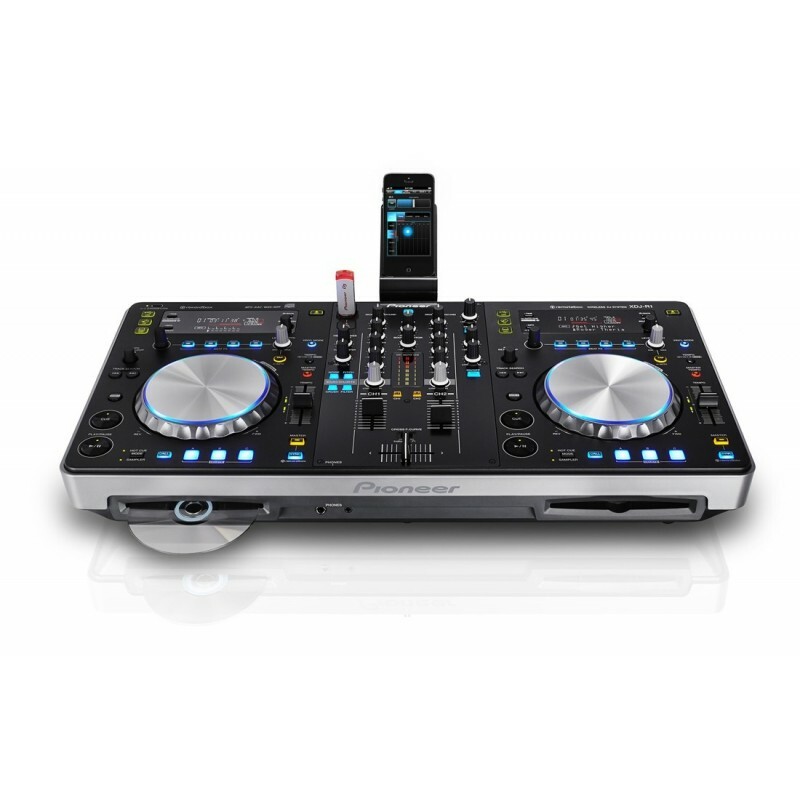 Redefining versatility, the XDJ-R1 can be controlled wirelessly from an iPad, iPhone or iPod touch using our remotebox app. 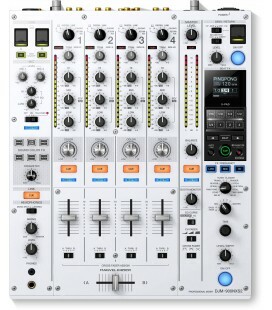 DJs can connect to the XDJ-R1’s own wireless LAN and use their touch screen to intuitively browse music, mix and mash up tracks – all from outside the booth. The app also introduces the XY pad: a two-dimensional way to assign and manipulate Beat FX and Colour FX using one intuitive control. 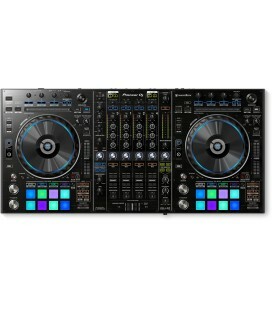 The XDJ-R1 crams our DJ’s extensive capabilities into one portable, rekordbox ready, affordable unit. 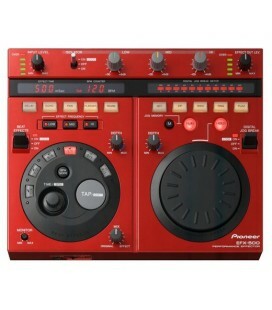 All DJs need add is creativity. The XDJ-R1 is DJ-ready out of the box, so there’s no need to add other equipment or fiddle with multiple cable connections. 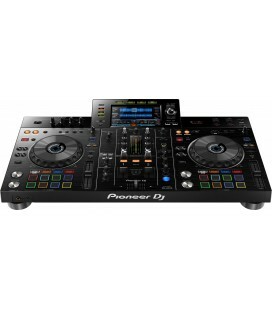 The unified deck packs in USB playback, two CD drawers, two touch-sensitive jog wheels, a two-channel mixer – plus effects and performance features taken from our DJ’s industry-standard set-up. 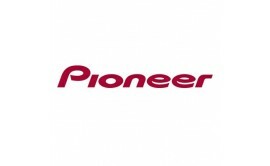 DJs can simply load tracks from USB or CD to play a range of media – including AAC (USB only), MP3, WAV, AIFF and 24-bit files. Just like the pro-DJ range, tracks prepared in rekordbox can be exported onto USB, allowing DJs to take advantage of features such as the track database, beat grids and Hot Cues. Or they can effortlessly switch to MIDI to control other DJ software on their laptop via wired connection – including the free download of VirtualDJ LE with its four-channel and video mixing. DJs can download the free remotebox app for iPhones, iPads and iPod touch (available from the App Store) to use their device as a remote control for all the XDJ-R1’s amazing features.1 The XDJ-R1 creates a private wireless LAN for reliable connection to the DJ’s iOS device. Intuitive touch-screen control includes browsing, loading and mixing tracks, as well as triggering FX, Auto Beat Loops, Hot Cues and samples. Plus – unique in our range – remotebox introduces the innovative XY Pad: a two-dimensional way to engage and manipulate Beat FX and Sound Colour FX in combination. DJs using remotebox on the iPad/iPhone/iPod touch are liberated from the booth to interact more, showcase their talents and even let the crowd get involved with choosing tracks. The XDJ-R1 all-in-one system contains everything DJs need in one sleek box, including a handy iPhone/iPod touch stand to position the screen in line of sight at all times. Plus the DJC-SC3 sturdy carry bag (sold separately) is custom-designed for the XDJ-R1, with multiple pockets and a vertical structure to give DJs easy access even in confined booths. 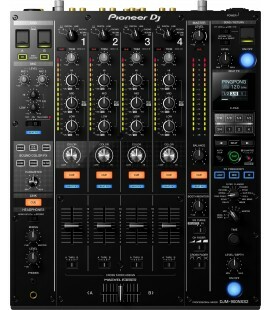 The XDJ-R1 is equipped with a MASTER OUT (XLR), BOOTH OUT, AUX and MIC, to enable connection to external hardware and professional PA systems. 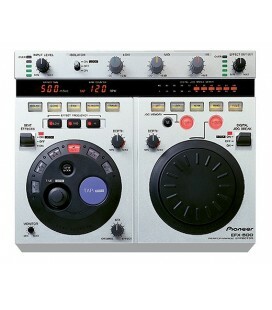 The central mixer can therefore be connected to turntables and CDJs and used as a stand-alone mixer. The XDJ-R1 inherits sound design from our pro-DJ equipment, including a built-in 44.1 kHz/24-bit soundcard and a high-performance CPU.